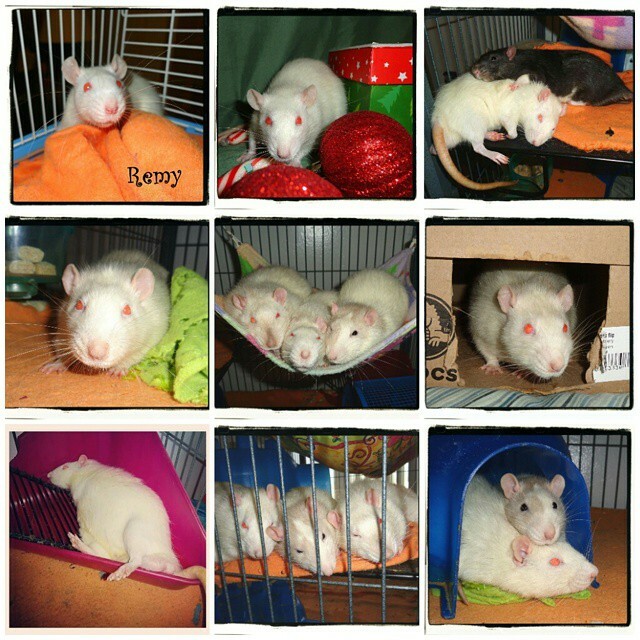 Sunday evening Remy passed away. He passed away sometime when we were sleeping. That afternoon he had been fine, eating Gerber puffs, drinking Ensure. 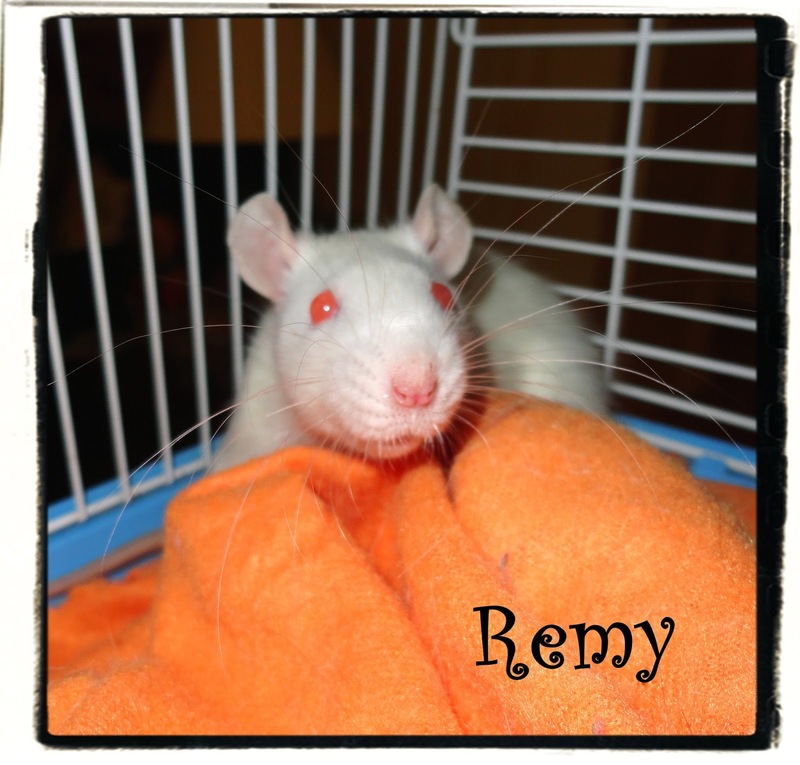 Remy was around 2 years, and 2 months old. 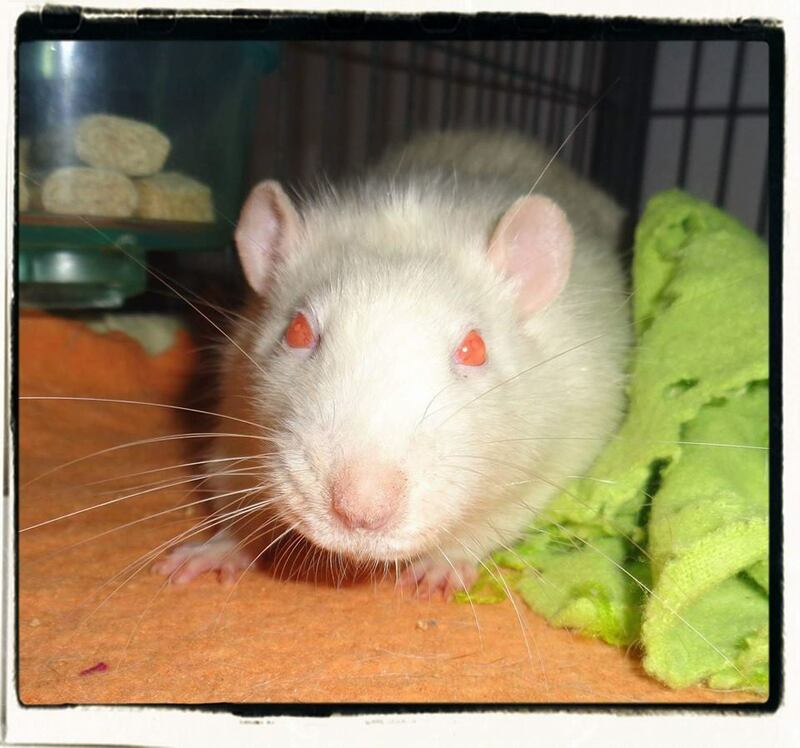 He had lost the use of his hind legs in November, so we were keeping him in a one level cage so he could scoot around. We brought Remy home December of 2012. (Rats only live 2-3 years). 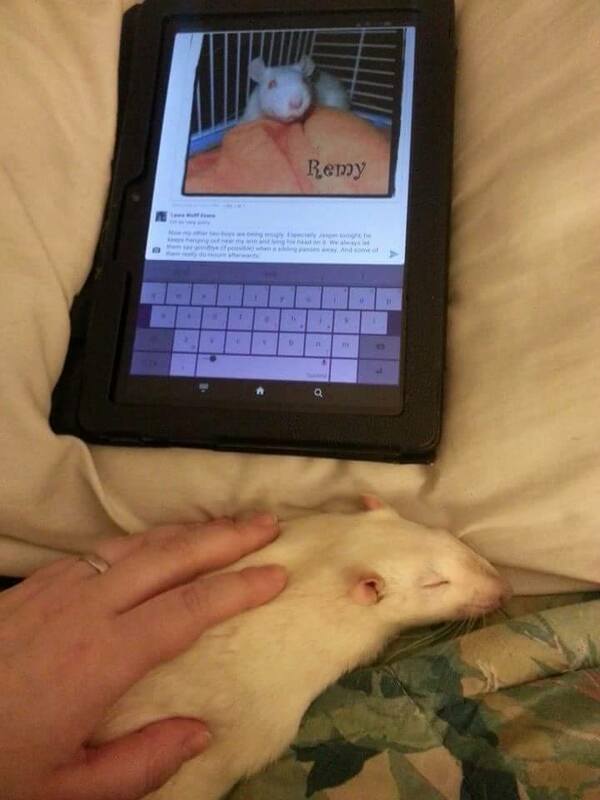 Remy was always a kind and quiet rat, though he was not affectionate. He did not like being handled or touched, he liked to be by himself. Occasionally, he liked his head scratched. He always went crazy for treats, he would stick his little arms out of the bars and start grabbing when he heard me coming with treats. 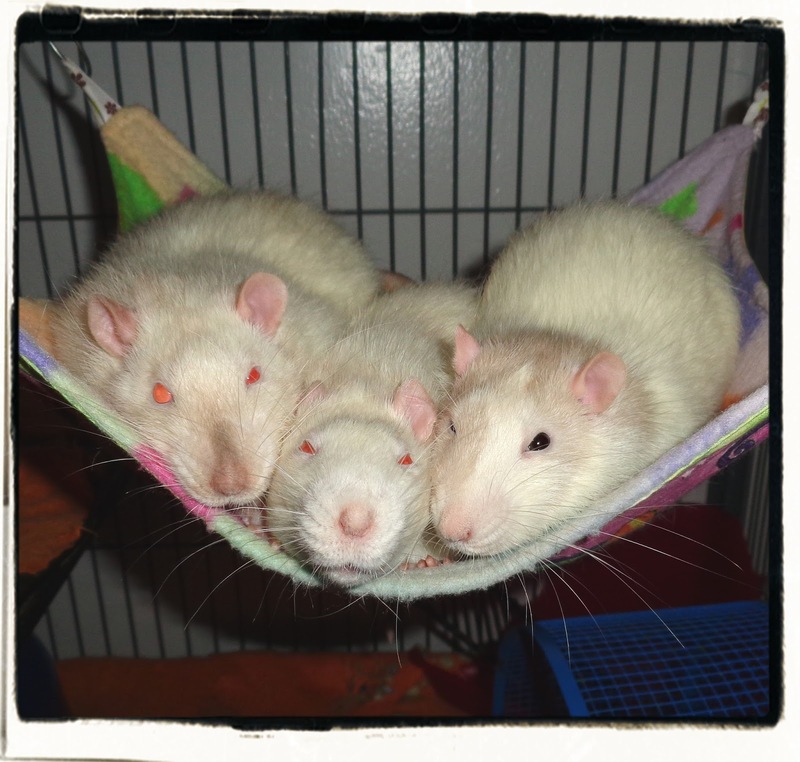 He loved wrestling his brothers, and cuddling with his brothers. Jasper, and T.J. were a little upset after Remy passed away. 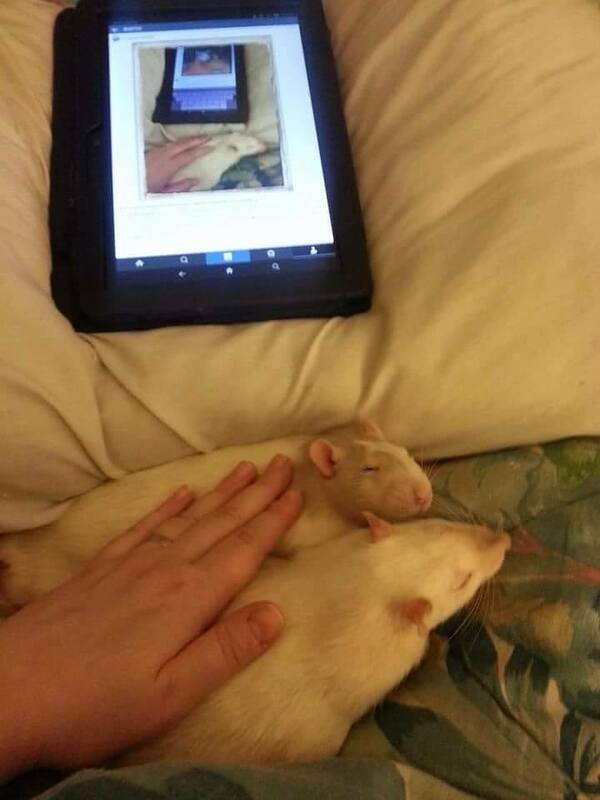 We always make sure to show the rats their sibling who has passed away (if possible), so they can say goodbye. Some of them do mourn when a sibling passed away. They will get more cuddly or chatter their teeth. Jasper was especially cuddly after Remy passed away. He just wanted to lay near my arm and be pet, and then T.J. had to join in. 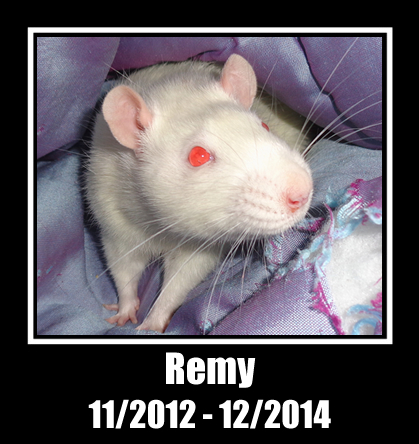 We will take Remy to the vet sometime this week to be cremated.